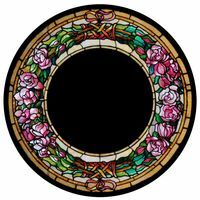 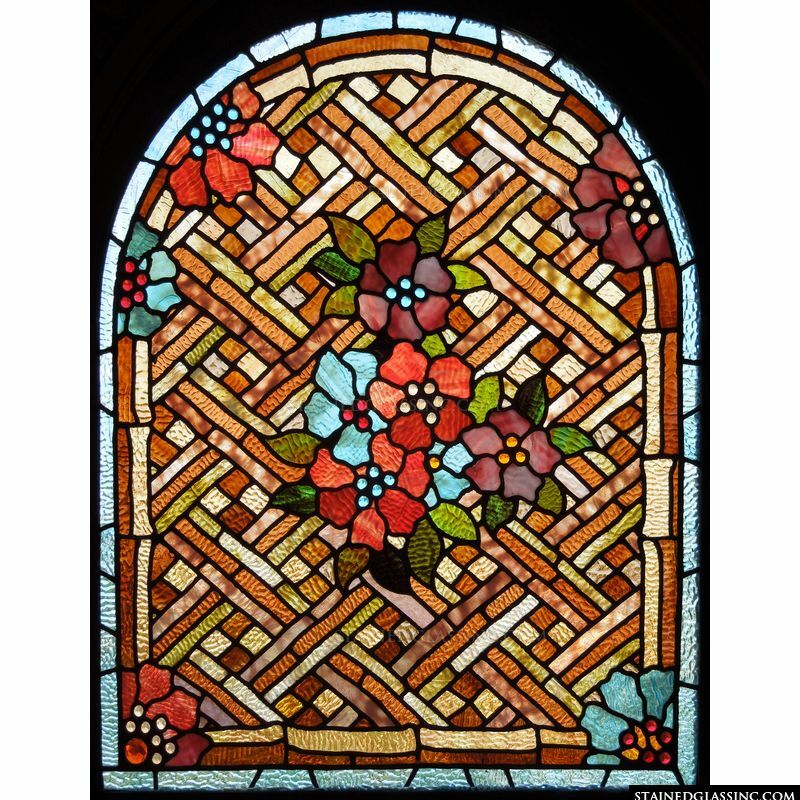 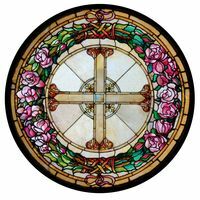 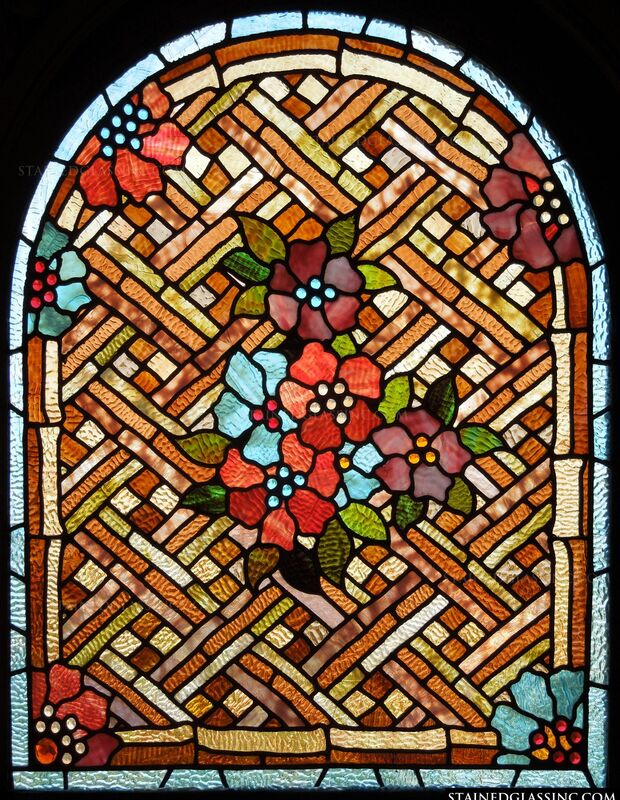 This arched stained glass panel features a bundle of flowers at the center on a crisscrossed background design. 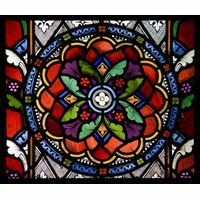 Each corner holds a flower and the jewel tones really stand out and draw attention as the sun filters through and casts the color throughout any space. 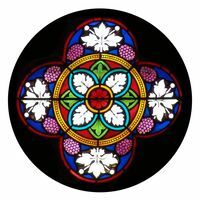 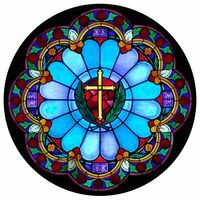 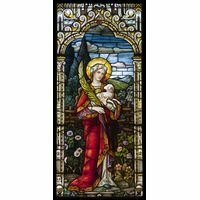 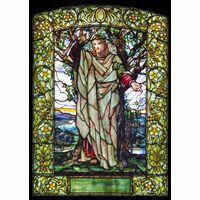 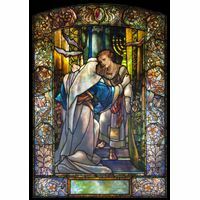 This stained glass piece will easily match most decor and even add charm to any room.